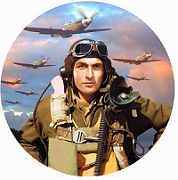 The primary inspiration for the film was the article “Top Guns” by Ehud Yonay, from the May 1983 issue of California Magazine, which featured aerial photography by then-Lieutenant Commander Charles “Heater” Heatley. The article detailed the life of fighter pilots at the Naval Air Station Miramar in San Diego, self-nicknamed as “Fightertown USA”. 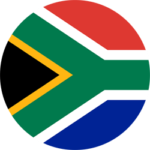 Numerous screenwriters allegedly turned down the project. It was this 1986 action movie that introduced the United States Navy F-14 Tomcat to the world. The F-14 Tomcat ruled the skies for over a decade. The Navy made several aircraft from F-14 fighter squadron VF-51 Screaming Eagles available for the film. Navy pilot Pete Mitchell (Tom Cruise) is sent to Miramar Naval Air Station for advanced training. Here he vies with Tom Kasansky (Val Kilmer) for the coveted “Top Gun” award. When not so occupied, Mitchell carries on a romance with civilian consultant Charlotte Blackwood (Kelly McGillis). Shaken up by the death of a friend, Mitchell loses the Top Gun honor to Kasansky. Worried that he may have lost his nerve, Mitchell is given a chance to redeem himself during a tense international crisis involving a crippled US vessel and a flock of predatory enemy planes. The story wasn’t new in 1986, but Top Gun scored with audiences on the strength of its visuals, especially the vertigo-inducing aerial sequences. Shots of the aircraft carrier sequences were filmed aboard the USS Enterprise, showing aircraft from F-14 squadrons. The majority of the carrier flight deck shots were of normal aircraft operations and the film crew had to take what they could get, save for the occasional flyby which the film crew would request. During filming, director Tony Scott wanted to shoot aircraft landing and taking off, back-lit by the sun. During one particular filming sequence, the ship’s commanding officer changed the ship’s course, thus changing the light. When Scott asked if they could continue on their previous course and speed, he was informed by the commander that it cost $25,000 to turn the ship, and to continue on course. Scott wrote the carrier’s Captain a $25,000 check so that the ship could be turned and he could continue shooting for another five minutes. Renowned aerobatic pilot Art Scholl was hired to do in-flight camera work for the film. The original script called for a flat spin, which Scholl was to perform and capture on a camera on the aircraft. The aircraft was observed to spin through its recovery altitude, at which time Scholl radioed “I have a problem … I have a real problem!”. He was unable to recover from the spin and crashed his Pitts S-2 into the Pacific Ocean off the Southern California coast near Carlsbad on 16 September, 1985. Neither Scholl’s body nor his aircraft were recovered, leaving the official cause of the accident unknown. Top Gun was dedicated to Scholl’s memory! The film made more money than any other film in 1986 and even spawned a 1989 takeoff titled “Hot Shots”. 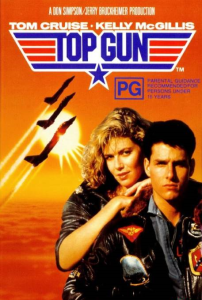 The Top Gun soundtrack is one of the most popular soundtracks to date, reaching 9 x Platinum and #1 on the Billboard Hot 200 albums chart for five non-consecutive weeks in 1986. Enjoy this original 1986 movie trailer – courtesy of youtube.com.